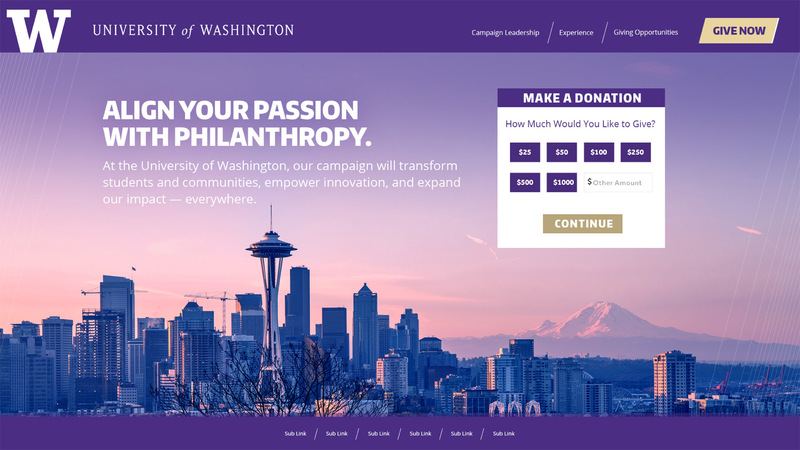 In 2016, the University of Washington launched the most expansive philanthropic campaign in their history to transform the lives of students and all of the people they serve. 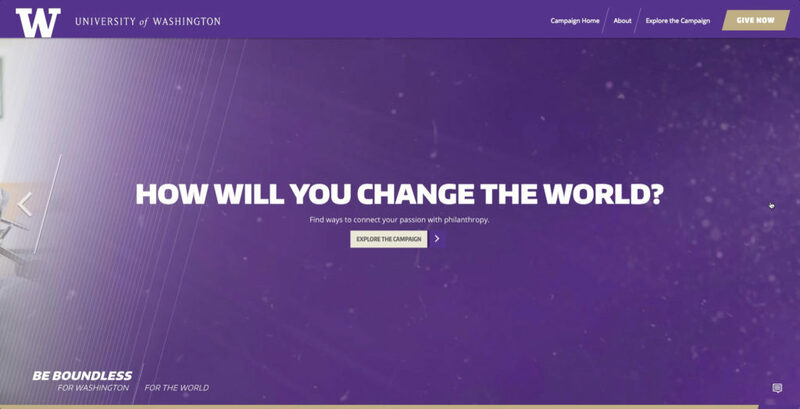 The campaign was kicked off with a live event, and to coincide with the launch, and new giving site was created to help promote and inspire. 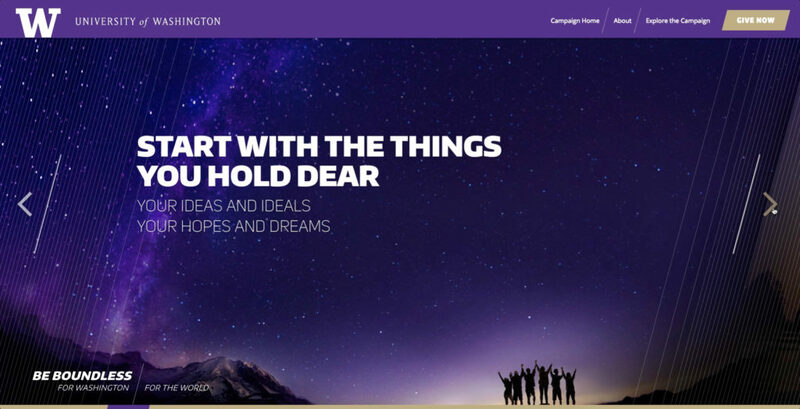 We wanted our site to tell the story of the campaign through imagery and inspiring copy. 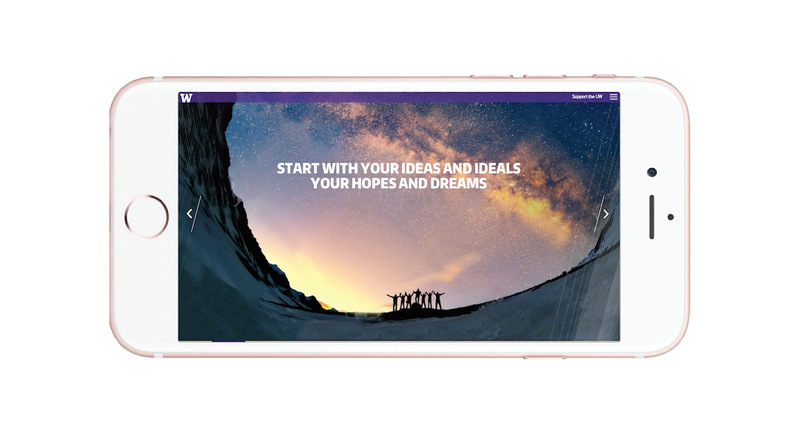 To best showcase this, the site was designed to be not only mobile-first, but also utilize a horizontal scrolling experience. My first task as Interactive Art Director was to create a static design of the entire site experience. 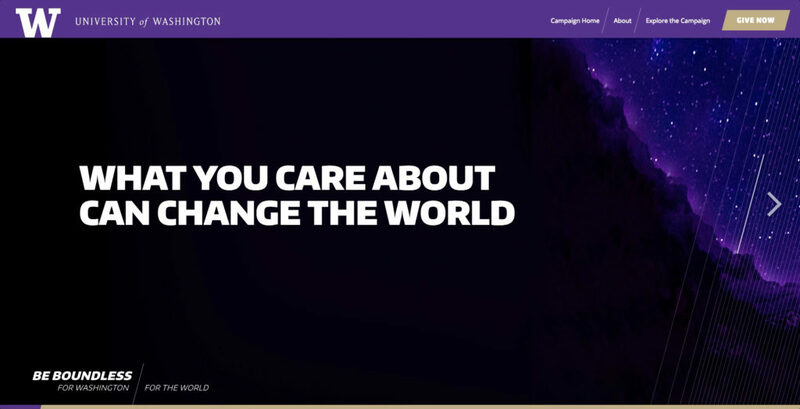 Using stock photography to help give a sense of direction, we were able to focus on the message of the campaign while creating a unique and excited UX. 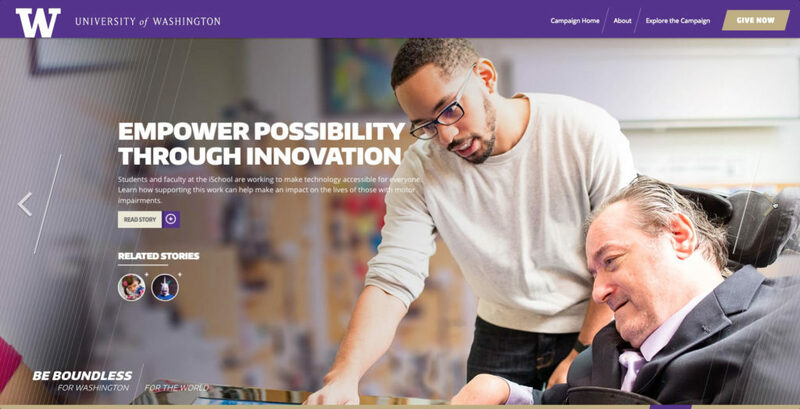 Because the concept of the site was very new and utilized a lot of movement, a motion design was created to help the stakeholders better understand just how the site would look in an interactive environment. Using the static designs, a video was created in After Effects to emulate how a user would experience the site as a whole. After concept approval, original photography was created and the design finalized. 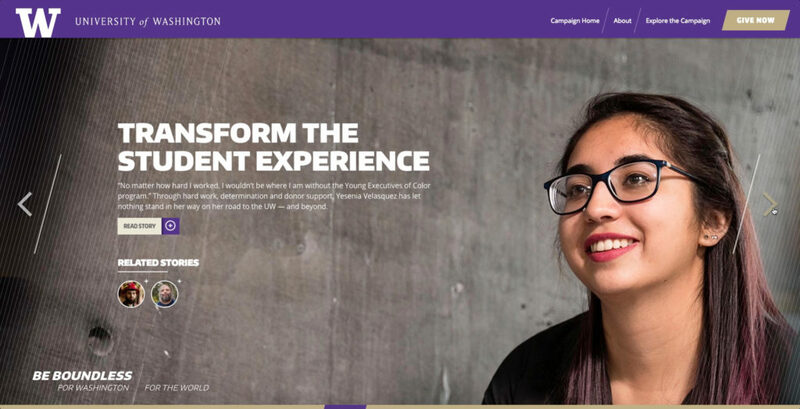 In conjunction with the launch of the campaign site, immersive stories about amazing people from the UW family were designed and blended seamlessly into the site experience. Working closely with our developers, the final site was launched on time along site the Together event and kicked off the campaign. 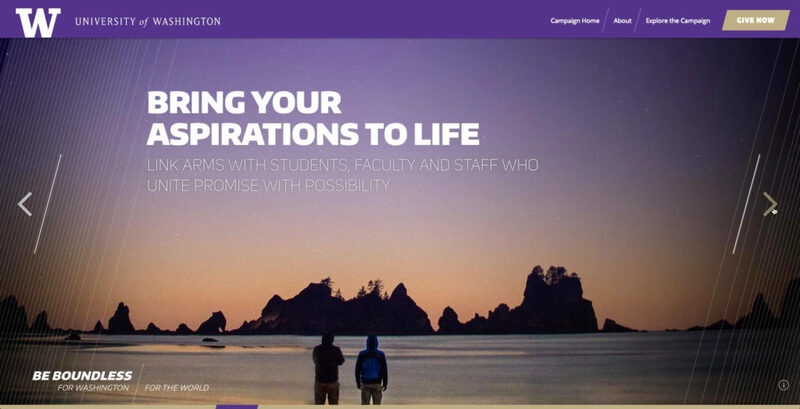 Using the latest tools, we were able to create an exciting user experience that blends desktop design with mobile all while telling the story of UW’s biggest campaign in history.